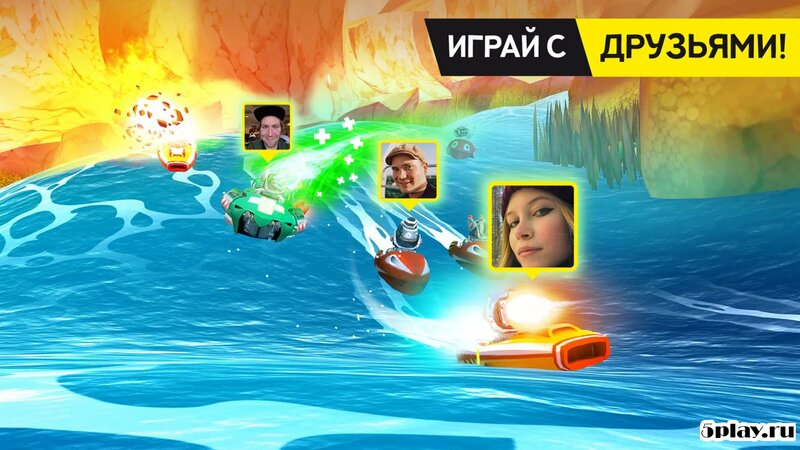 Battle Bay - exciting multiplayer project, from the pen of Rovio, the creators of the legendary games of angry birds. Now the developers want to release your project, which is based on intense battles. The gameplay is reminiscent of the best representatives of the PvP-battles. In this case, battles take place on water, on relatively small areas. However, standing waves will not allow the opponents to get to the vessel user. Fighting is 5 by 5. Victory will go to the team that completely destroyed the fleet of the opponent or the longest lasted on the base, marked with a special label, and captured it. Upon completion, the player goes to main menu, where you can spend the money on various improvements and the purchase of weapons. The control is implemented conveniently: two joysticks are responsible for the movement and shooting. Auto-aim helps you to switch between enemy ships and instantly hit them. If on the ship of the player induced someone's trunk, it will notify the appearance pattern of the target on the water surface. 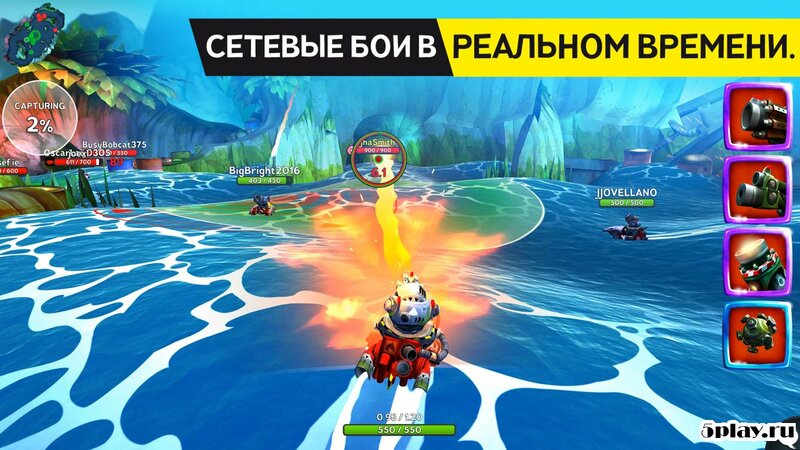 Battle Bay - exciting sea battles with three-dimensional cartoon graphics, which risk to become no less famous than the Angry Birds series.